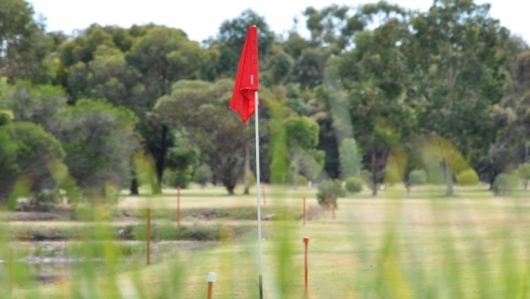 Home - Numurkah Golf & Bowls Club Inc.
One of the most relaxing Murray River region golf resorts, located only two hours from the junction of the Hume Highway and the Western Ring Road. Murray River golf trips with Numurkah Golf & Bowls club don’t only involve fantastic golf, but lawn bowling, and comfortable accommodations against the views of the breathtaking Goulburn Valley. Take in the beautiful views of Broken Creek and nearby wetlands while you hone your skills and take a break from everyday stresses. Enjoy a day of golf on our challenging course or try your hand at our tift dwarf bowling greens. At the end of the day, warm hospitality awaits you back at the clubhouse where you can enjoy a drink with your friends, family, and teammates. Visit our pro shop and chat with our sports manager, PGA pro, Anthony Sanders. Let Anthony help you fix your swing with lessons for individuals, groups and juniors. Copyright © 2019 Numurkah Golf & Bowls Club Inc.